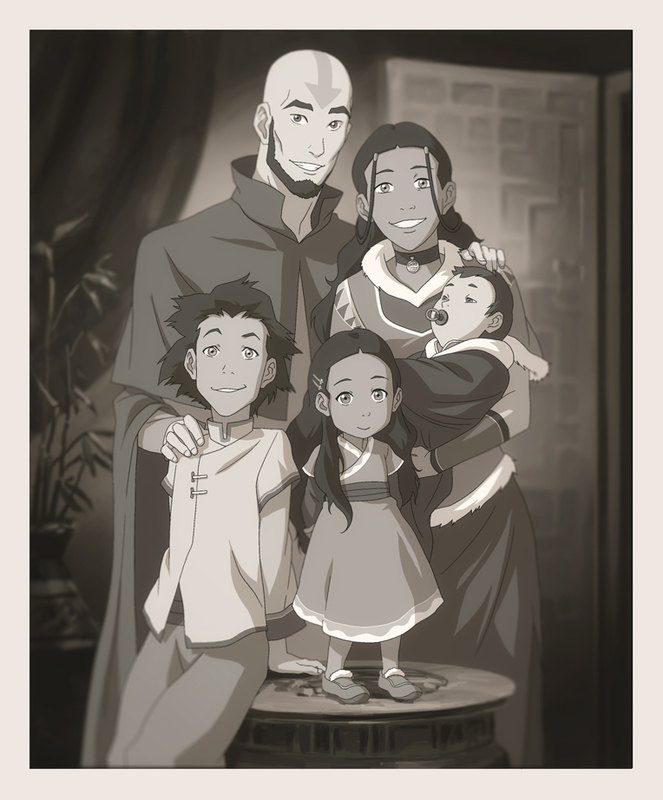 Aang and Katara's family portrait. From the Legend of Korra episode “Civil Wars, Part 2.”. HD Wallpaper and background images in the 아바타 코라의 전설 club tagged: avatar the legend of korra the last airbender aang katara bumi kya tenzin family portrait.